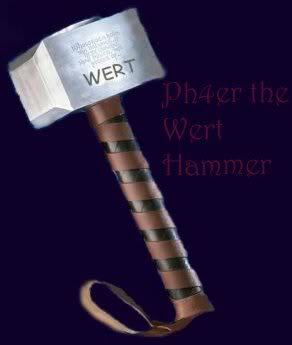 the wii says -Wert- you im sick of playing with a mac disk drive, wheres my -Wert- pc one! And because of RRoD, I have 2 and-a-half xboxs :3 . On a lighter note, I fixed my XBox's Disc-Reading problem! But I'm getting a new one tomorrow!